According to legend, you can gain magical powers if you drink from the horn of a unicorn, but we think it is just as magical (and more kinder) to drink from this Color Changing Unicorn Mug! The unicorns were so graceful that they got to keep their beautiful horns that they gave these unicorn mugs magical properties! 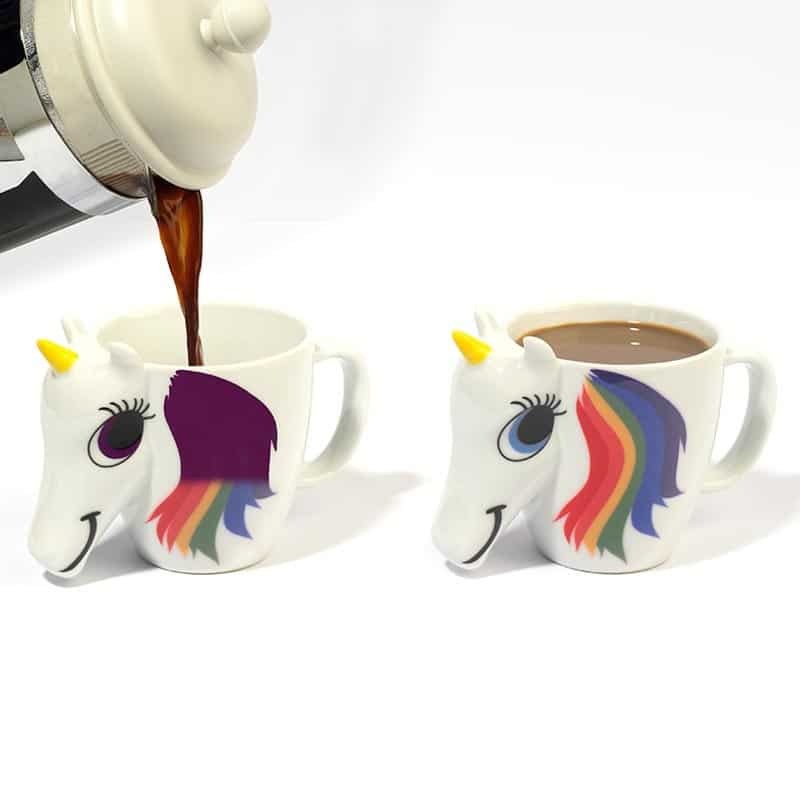 How it works, is the mane on the side of the mug is made from color changing paint that will go from all black to a flurry of majestic colors once you add in a hot liquid. After you pour in your hot coffee or tea, a rainbow stream will slowly make its way up the mane all the way to the top. Since unicorns graze among the clouds and dance on top of rainbows, the mug takes on the colours of the rainbow. The Color Changing Unicorn Mug is perfect for whenever you want to liven up your Monday coffee with something colourful – and who can be in a bad mood in the morning with this cute colour-shifting mug nearby? 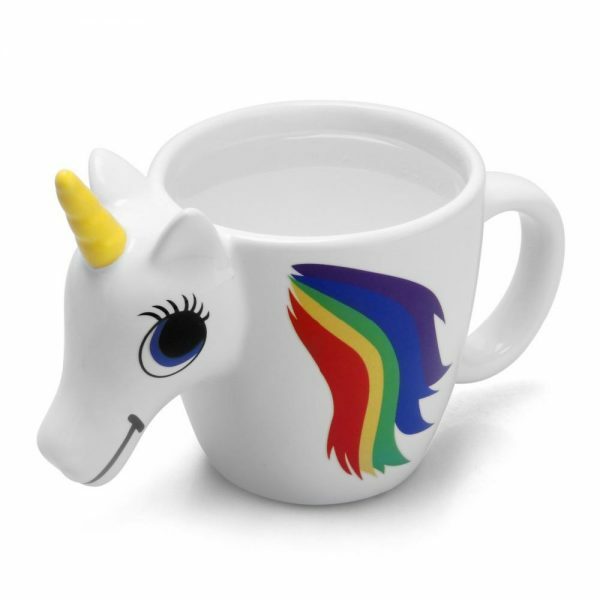 Colour-shifting mug in the shape of a unicorn – pour in a hot drink and the unicorn’s mane and eyes change colour!